One of my earliest memories of TGIF was 6 years ago when my friends surprised me for my birthday. They made me stand on a chair and sing in public in front of my friends and the TGIF crew. 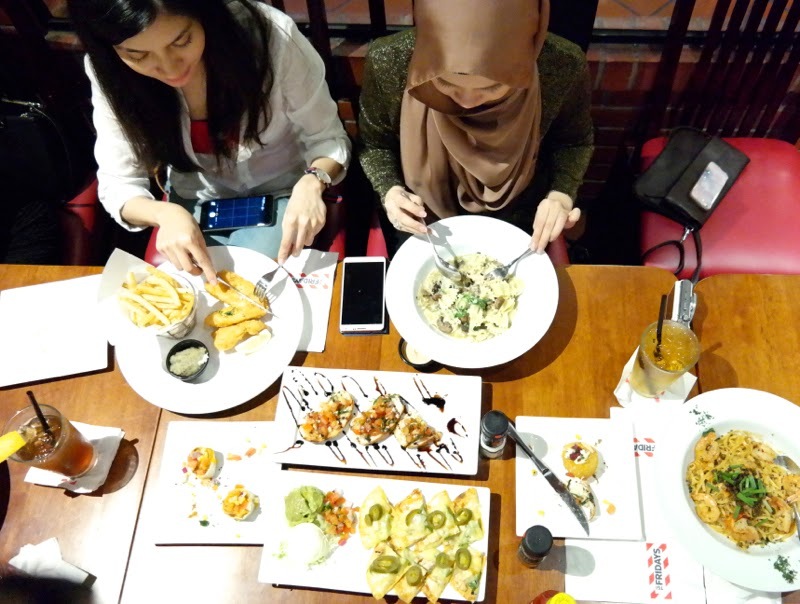 It was at TGIF the Curve. It was embarrassing at the time but looking back, the antics of the fun TGIF crew made it a very memorable occasion. I found out about TGIF’s meal for two promotion and just couldn't refuse to try it. 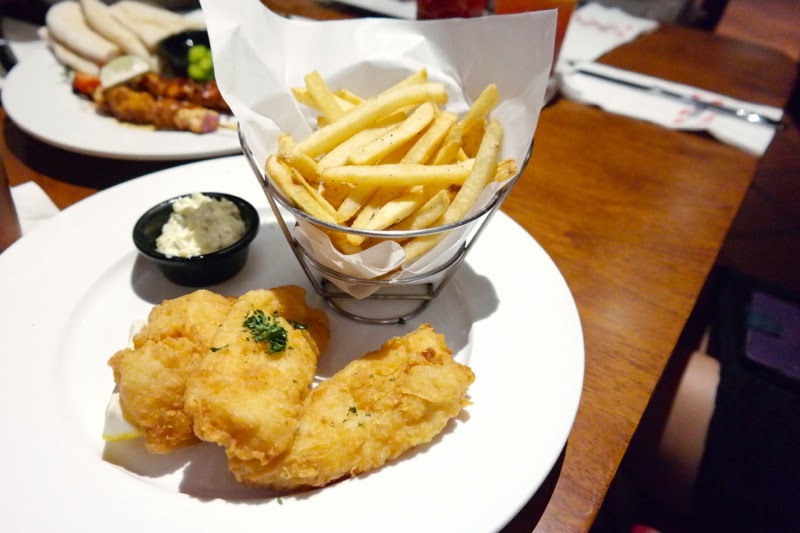 It is super affordable as we only have to pay RM45.90++ for 2 main dishes and an appetizer. TGIF's famous good food at such an affordable price? I just had to check it out. So last week, I had a date with fellow blogger Namee Roslan for a food tasting session of the promotion. Both of us were already super excited to meet each other and have dinner together the week before! I’ve been to TGIF a number of times before but I was really excited to see how the Meal for 2 promotion works and the mains on offer. Boy, TGIF never fails to disappoint! 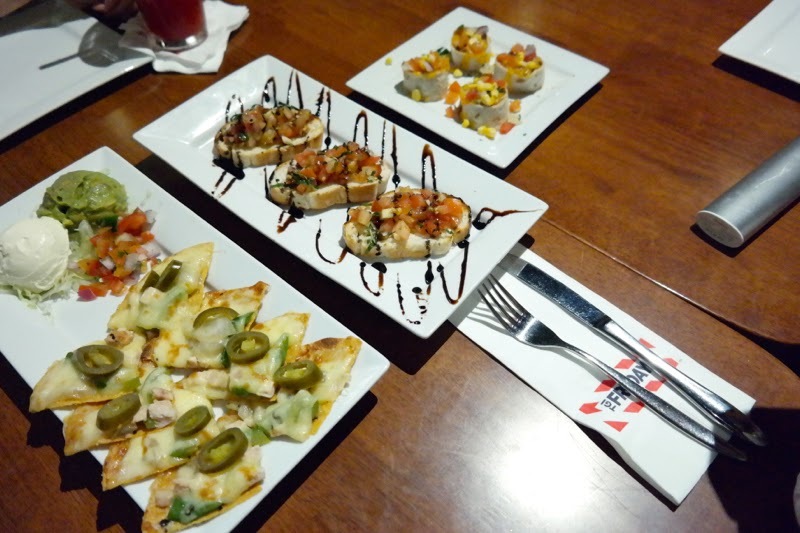 There are four appetizers to choose from, but of course, during the food tasting we could taste all 4. The portions were very huge and generous! 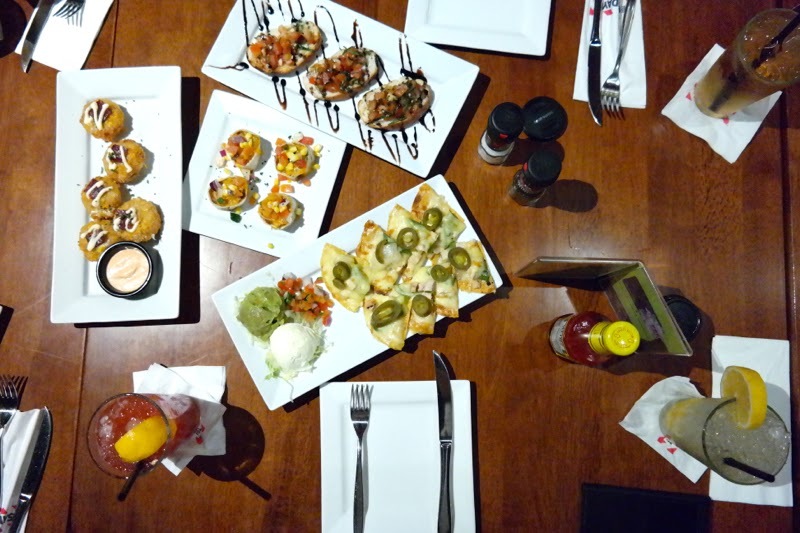 We could've been full just from eating the appetizers alone. It's definitely meant for sharing. Then we chose our individual main course. All of the choices looked mouth-watering and we were spoilt for choice. Namee and I decided to share our main courses too because we couldn't decide on just one. 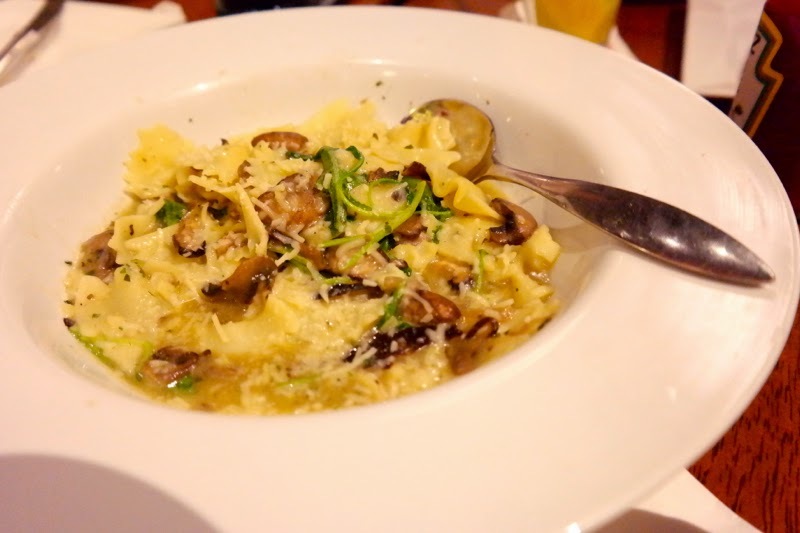 I ordered the Wild Mushroom Farfalle and Namee decided on the Fish and Chips. Both of the meals were delicious and we kept on swapping plates. In the end, we were both fighting over the last serving of the pasta. Hehe. The portions for the mains are also very big and its also for sharing. 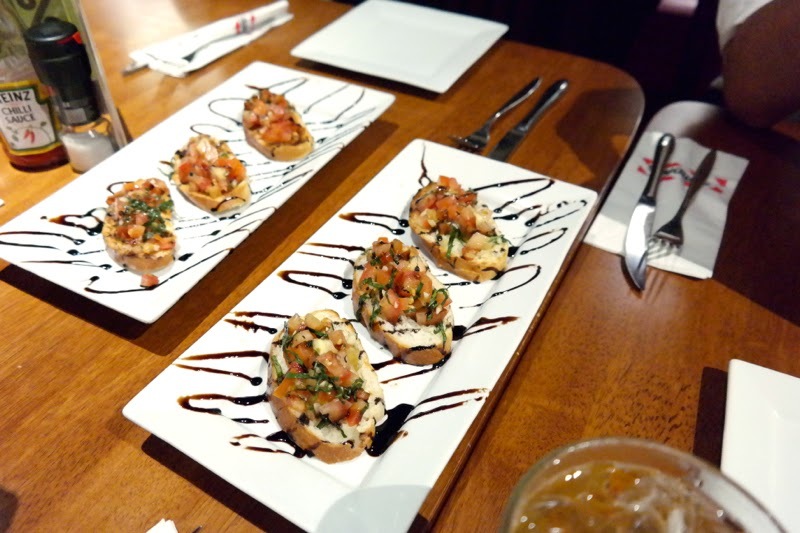 There’s a variety of dishes to choose from too. 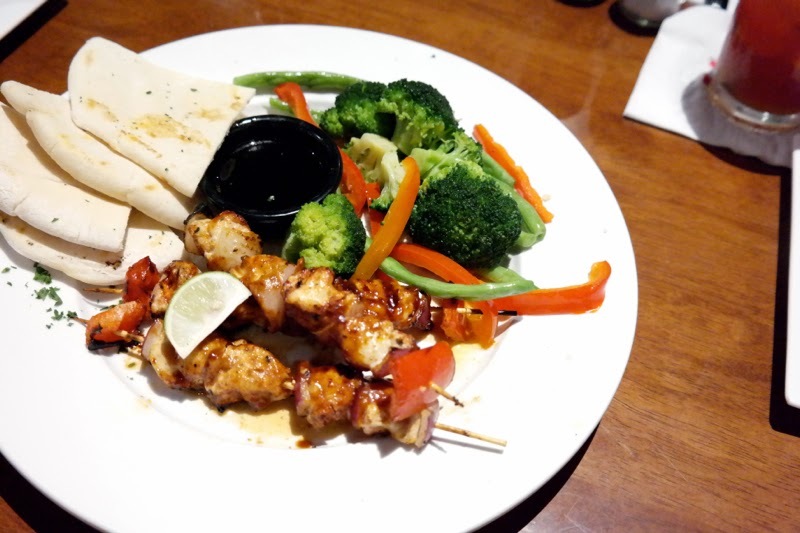 Some of them include Cajun Chicken Salad, Hibachi Chicken Skewers, Chili & Garlic Shrimp and more! The promotion is definitely well worth it. 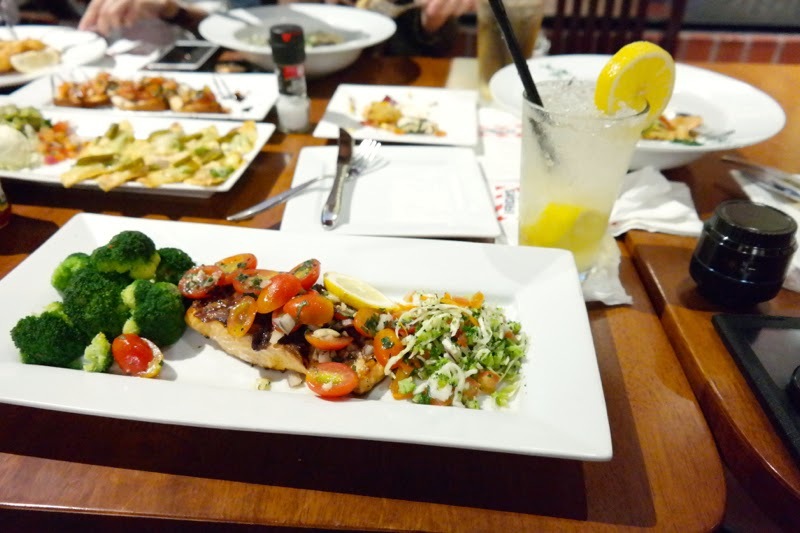 In fact, just a few days later after the food tasting, last weekend, I brought my family to TGI because of the promotion. Since there were 8 of us, it was easy for us to take up the 4 sets for sharing. 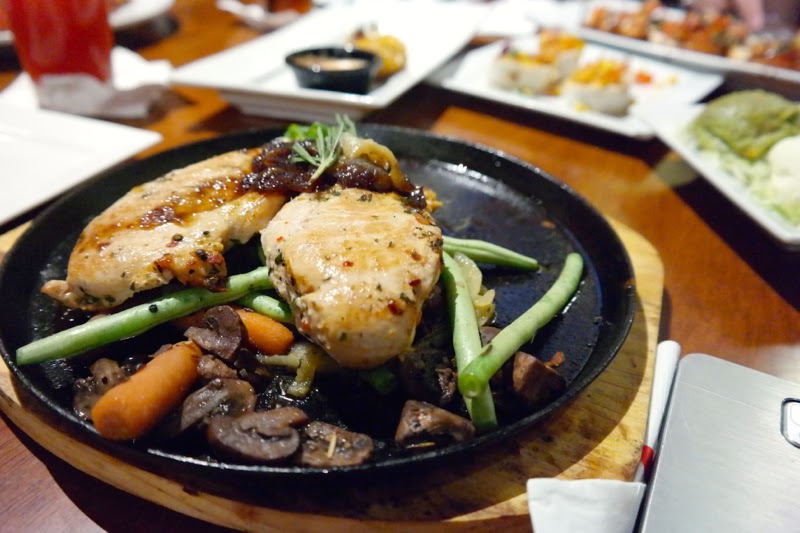 Just look at the photos below of the food we had and prepare to be salivating! Im not sure when the promo will end so you guys better go and check it out now!